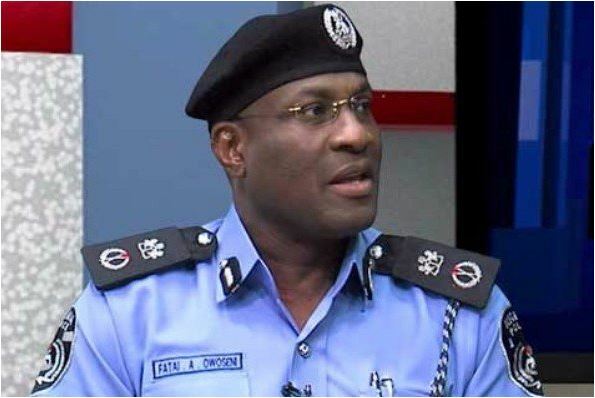 Former Lagos Commissioner of Police, Fatai Owoseni has said that the real reason he was redeployed from Benue State was that he refused to obey orders from his superiors that could have led to chaos and further killings in the troubled state. Recall that Owoseni was posted from Lagos by the then Inspector General of Police, Ibrahim Idris to Benue State to quell the herdsmen and farmers crisis that led to the death of more than 100 persons including policemen in the state. However, less than a year, he was redeployed out Benue for reportedly failing to stop the impeachment of the then Speaker of the Benue legislature, Hon. Terkimbi Ikyange. However, in an interview with Sun newspaper, he said: “I was deployed to Benue in the heat of the farmers–herdsmen crisis and to the best of my ability, I discharged my responsibility within the ambit of the law. “In police work, we are the most endangered. Instructions will be given to you and you will be caught in-between obeying superior instruction and respecting the constitution of the country. “I held that as a principle that my loyalty is to the constitution of Nigeria, not to any human being. Where there are conflicts like that, if you are not able to balance what you do, any mistake of judgment can cost you your job. It’s just for you to be matured enough to know where your obligation lies, to be able to differentiate between what is lawful and unlawful instruction. “I can tell you that I discharged my responsibility to the best of my ability. Someone will sit in Abuja and give you instruction, it is for you that is on the ground to know the implication of that instruction. Instructions that will lead to killings and disturbance in the state. On the factors responsible for the crisis in Benue, Owoseni said: “These clashes are not new within that axis; it’s just that we are a country without institutional memory. Way back, once you have dry season, the herders, look for water and that axis you have what is called Fadama land which has rich foliage, in the process, they move the cattle towards that area. “While doing that, they can encounter people who are using the same land to farm. They fight over limited resources. But at a point in time, just as we do about everything in this country, every challenge is always given a religious, tribal and political connotation. “When the former Inspector General of Police, MD Abubakar was there, he set up a committee led by a retired DIG to go and address those crises which were more in Plateau, Taraba, and Benue axis. “But because we don’t keep a record, and no lessons learnt at all, instead of us to apply these findings, the leaders will be reckless in their talking. Sometimes they exaggerate, sometimes, they live in denial. We more or less, govern by deceit. “The fact remains that they had a problem there, it was the way things were handled and how they politicized the whole matter that escalated it. “The solution is not farfetched; you simply work with the people. When you look at the anti-open grazing law, there were a lot of rooms for both parties to work together.